Anne Frank was a Jewish girl who went into hiding during World War Two to avoid the Nazis. Together with seven others she hides in the secret Annex on the Prinsengracht 263 in Amsterdam. After almost 2 years in hiding they are discovered and deported to concentration camps. Anne’s father, Otto Frank, is the only one of the eight people to survive. After her death Anne becomes world famous because of the diary she wrote while in hiding. Anne Frank was born on 12 June 1929 in the German town of Frankfurt am Main. Her father’s family had lived here for generations. Anne’s sister, Margot is three and a half years older. The economic crisis, Hitler’s rise to power and growing antisemitism put an end to the family’s carefree life. Otto Frank and his wife Edith decide, just as many other German Jews, to leave Germany. Otto set up a business in Amsterdam and the family finds a home on the Merwedeplein. The children go to school, Otto works hard in his business and Edith looks after the home. As the threat of war in Europe increases, Otto and his family try to emigrate to England and the U.S.A. but these attempts fail. On 1 September 1939 Germany invades Poland and World War Two starts. For a while there is hope that The Netherlands will not become involved in the war, but on 10 May 1940 German troops invade the country. Five days later The Netherlands surrenders and is occupied. Anti-Jewish regulations soon follow. Jews are allowed to go to less and less places, Anne and Margot must attend a Jewish school and Otto loses his business. When a renewed attempt to emigrate to the U.S.A. fails, Otto and Edith decide to go into hiding. Otto furnishes the house behind his business premises on the Prinsengracht and this becomes the hiding place. He does this together with his Jewish business partner Hermann van Pels and help from employees Johannes Kleiman and Victor Kugler. Margot Frank receives a call-up to report for a German work camp. The next day the Frank family goes into hiding. The Van Pels family follow a week later and in November 1942 an eighth person arrives; dentist Fritz Pfeffer. They remain in the secret annex for just over two years. The people in hiding must stay very quiet, they are often afraid and despite good and bad times, spend most of it together. They are helped by the office workers Johannes Kleiman, Victor Kugler, Miep Gies and Bep Voskuijl, by Miep’s husband Jan Gies and warehouse boss Johannes Voskuijl, Bep’s father. These helpers not only arrange food, clothes and books, they are contact with the outside world for the people in hiding. The people in hiding along with helpers Johannes Kleiman and Victor Kugler are arrested. Via the Sichterheidsdienst headquarters, prison and transit camp Westerbork they are deported to Auschwitz. The two helpers are sent to the Amersfoort camp. Johannes Kleiman is released shortly after his arrest and six months later Victor Kugler escapes. Immediately after the arrest Miep Gies and Bep Voskuijl rescue Anne’s diary and papers that have been left behind in the secret annex. Despite intensive investigations it has never been clear how the hiding place was discovered. Anne wrote in her diary that she wanted to be a writer or a journalist and that she wanted her diary published as a novel. Otto Frank’s friends convince him of the great expressiveness of her diary and on 25 June 1947, ‘The Secret Annex’ is published in an edition of 3.000. Many more editions, translations, a play and a film follow. People from all over the world learn of Anne Frank’s story. 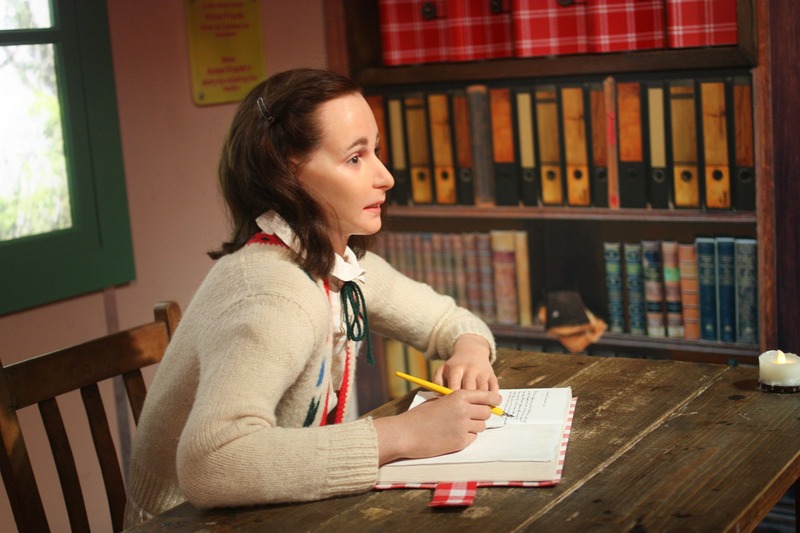 Over the years Otto Frank answers thousands of letters from people who have read his daughter’s diary. In 1960 the Anne Frank House becomes a museum. Otto Frank remains involved with the Anne Frank House and campaigns for human rights and respect until his death in 1980. From 1st May 2016 – 9am to 3:30pm the museum will only be open to visitors with an online ticket for a particular time-slot. From 3:30pm until closing time you can visit the Anne Frank House without an online ticket and buy a ticket at the museum entrance. We offer a limited number of entry tickets for sale online. Tickets are made available on the website around two months in advance. If online tickets are sold out, you can always buy a ticket at the museum entrance during opening hours. In addition to the historic rooms, where the history of Anne Frank is central, there are other exhibitions in the museum. All lesson material, digital lessons, courses, museum programs and exhibitions. In the Anne Frank House museum shop you will found high quality publications in a variety of languages, photo books, postcards and DVDs. Some items from the collection can also be ordered online.